Most of us have the habit of snacking by nibbling on to something between meals. It is a quick way of satiating hunger. There are several items on the store shelves and most of them are ready to eat. If you are a snack-person and have a sweet tooth, then you have a lot of options. But do not worry about gaining weight because you can snack away while watching those calories if you know what to eat and how much to eat. If you like fruits and want to binge on something sweet, get some chocolate dipped strawberries. You can blend some low-cal cream cheese, sour cream and condensed milk and top it up with pineapple, cherries or grapes as your sinful delight. Opt for fruit bars too. There are low calorie and fatless yoghurt brands all over the stores. So get them. You also can have the flavored ones; they taste great when cold. Smoothies are filling, they are light and they are sweet. 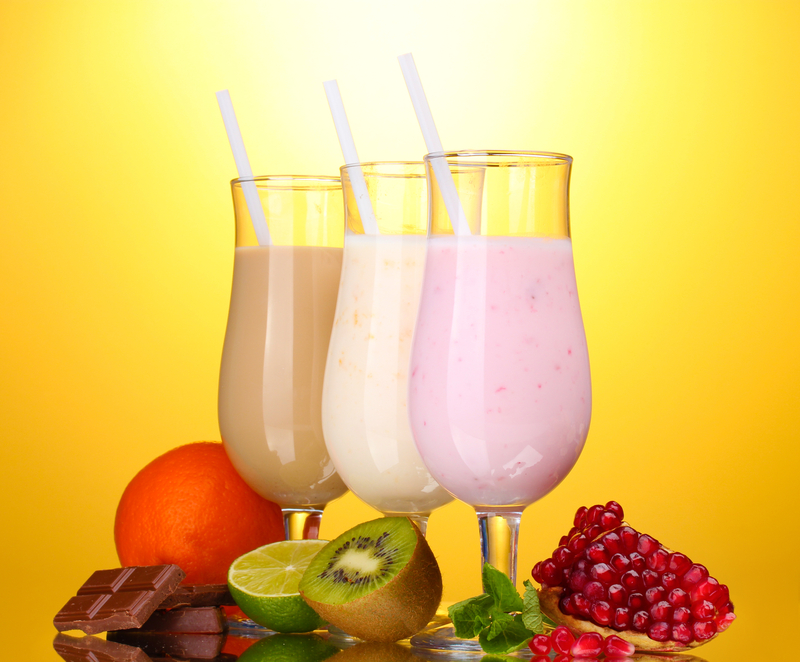 Try the various shakes and you can walk down the healthy road by adding some real fruits to it. Banana shake is a popular choice and is great in boosting your energy. Though strange, but milk can be a great snack and a healthy sweet option. Flavor it with chocolate, or add some coffee to give you a kick. You can also try the Indian way of adding some crushed almonds and a few strands of saffron to re-energize you. If you are watching you calories, then opt for skimmed, 2% or fatless milk. You do not need to be at the theaters to have these poppers. Top them with some peanut butter and a dash of cocoa powder. In case you are adventurous, try Nutella instead. Summers are incomplete without sorbets. But don’t worry about the sugar because now you will be switching them with honey. Apples, pears, apricots and similar fruits can be great for you if you bake them with a coating of nuts and a drizzle of honey. There are a lot of healthy ingredients out there waiting to be mixed and matched to suit your taste. Just think of the items you want to relish and toss them up in home; you will be surprised to see how wonderful chef you are in making healthy sweet snacks all by your own creativity! Seeds, Kneading and Love: What Makes the Perfect Bread?